Happy Birthday Pete Seeger (Sat, May 3): Joe Uehlein (photo) performs his Birthday Tribute to Pete Seeger tonight starting at 7:30p at Zed’s in Silver Spring. 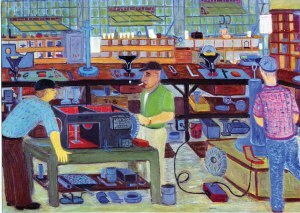 Kids at Work (Sat/Sun, May 3-4): Brother Hal and Sweet Joan of the Textile Mills, two labor- themed plays performed by young actors debut today and tomorrow, at the Round House Theatre in Silver Spring. 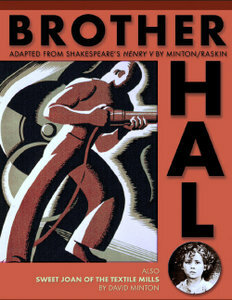 Brother Hal sets Shakespeare's Henry V in a Flint auto plant in the 1930’s, while Sweet Joan of the Textile Mills adapts Bertolt Brecht to examine the plight of child labor; both plays feature young actors from the Lumina Studio Theatre. Tickets required; click on the appropriate play for details. 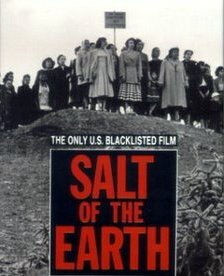 Salt of the Earth (Monday, May 5, 7:30p): Originally banned by the U.S. government and now recognized by the Smithsonian as among “the greatest 100 films ever made,” this classic 1954 film – which tells the story of Mexican-American workers who strike to attain wage parity with Anglo workers and explores the pivotal role their wives play in the strike -- celebrates its 60th anniversary 7:30p Monday night at the American Film Institute in Silver Spring (tickets necessary). Introduced by Tom Zaniello, author of “Working Stiffs, Union Maids, Reds, and Riffraff: An Organized Guide to Films About Labor” and includes DC Labor FilmFest t-shirt raffle! 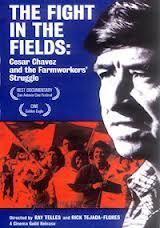 The Fight in the Fields (Tuesday, May 6, 6p): Cesar Chavez and the Farmworkers' Struggle: the first film to cover the full arc of Cesar Chávez’ life using archival footage, newsreel, and interviews with Ethel Kennedy, former California Governor Jerry Brown, Dolores Huerta, and Chávez’ brother, sister, son and daughter, among others; 6p at Busboys & Poets (5th & K Streets). 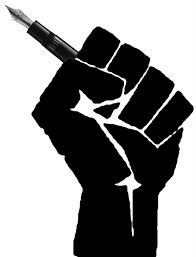 Poetry at Work (Tuesday, May 6, 8p): Poets tackle the workplace, from drudgery to dignity and even beauty. Featured poets include Kenneth Carroll and Laini Mataka. 8p at Busboys and Poets. (5th and K). Rivera's "Man At The Crossroads": The Mexican Cultural Institute hosts a fascinating exhibit reconstructing the history of Diego Rivera's famous “Man at the Crossroads” mural at Rockefeller Center, tracing its history with reproductions of previously unpublished material, including letters, telegrams, contracts, sketches, and documents, following Rivera's commission, subsequent tension and conflict, and finally, the mural's destruction. Daily through May 17. The DC LaborFest is an expansion of the annual DC Labor FilmFest; both are organized by the Metro Washington Council, AFL-CIO. CLICK HERE for the complete DC Labor Fest and Labor FilmFest schedule!